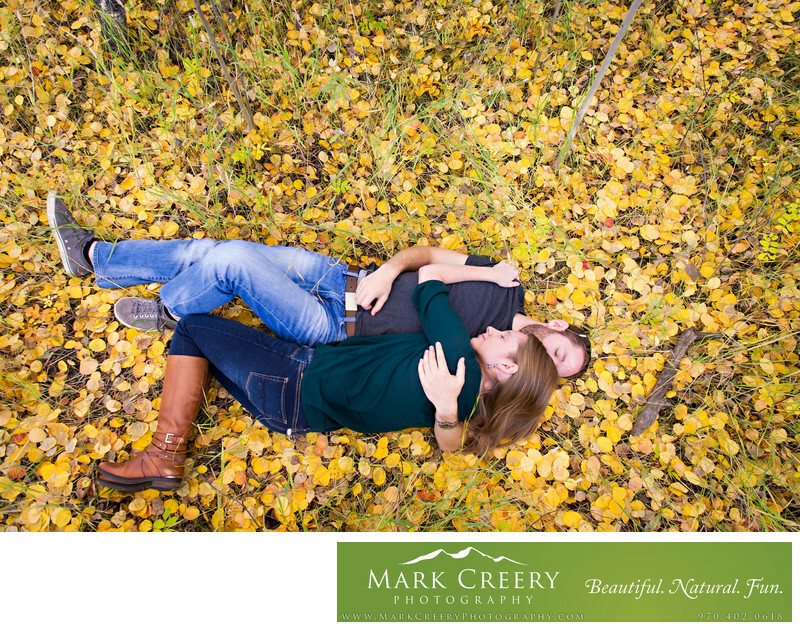 There are many different options to choose from when planning an engagement photography session in the Boulder area. Some of my favorite photo locations are all within close proximity to each other. For starters what's not to love about Chautauqua Park and its iconic views of the Flatirons. Photos taken here scream 'Boulder!'. There is a permit needed for photography but it may be worth the extra effort needed, otherwise there are locations further away that still have views of the foothills. From Chautauqua we can go up to Flagstaff Mountain for some sweeping panoramic views down on Boulder and the Front Range. If you went to school at CU Boulder, then why not do some photography on the campus with its' sandstone architecture? From there it's easy to get to downtown Pearl Street Mall and the parks along Boulder Creek, like Boulder Canyon for a mix of urban and natural looks. Other scenic areas for Boulder engagement photography include East Boulder Park, Settlers Park, Lost Gulch Overlook, Wonderland Lake Open Space and Betasso Preserve.